Final Score 150-122 for the Car Hops. 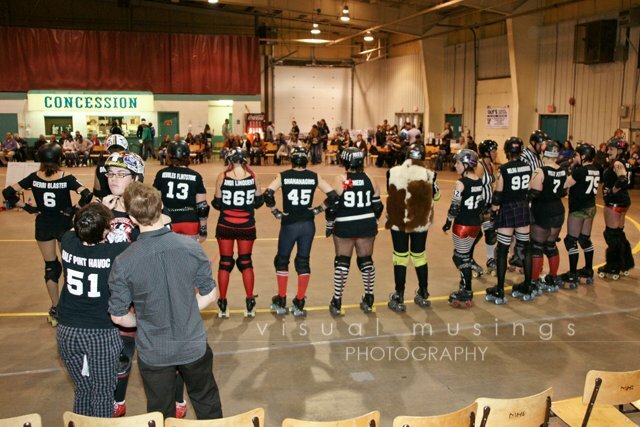 I think one of my favourite parts was I played against gals that I rookie’d with at the Edmonton Bootcamp last spring! The derby community is tight and even though we were competing against each other, I was super proud to see them play!!! Statistically, it wasn’t my strongest performance. But playing felt good despite my aching toe. SPECIAL THANKS to the guys at our practice skate who were willing to watch my skating style and gave me some tips based on their observations. And thanks again Gas City! You were a blast to skate with! Last night the Lethbridge College Student’s Association invited the Lethbridge College Roller Derby Club, which I’m also a member of ;-), to come hang out on skates during their Band Wars contest at the barn. The venue is fantastic and I admit I had visions of inter-league scrimmages complete with disco lighting and live bands playing as our DJ as I circled around the facility. What it lacks in size; we’d only be able to fit the track and maybe 2-3 rows of suicide seating, is made up in atmosphere. With a raised stage and concert lighting built in, the facility is ready for a variety of events. The floors are industrial tile with, what it felt like, a wooden sub-floor, giving an excellent balance of spring and grip under my wheels. The venue is licensed, lots of parking and directly across from 2 college residences. It felt like the perfect storm. 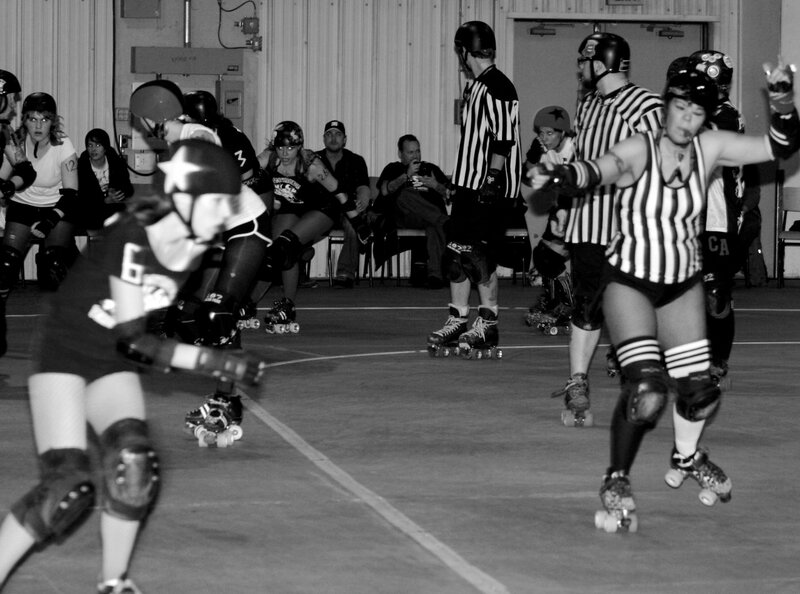 For roller derby leagues, all over the world, space is a constant struggle. For some, the space is available and willing, but to rent it for 2 practices a week for a month, costs more than a month’s rent of a residential apartment. It creates a league with high dues and a necessity to fund raise often just to stay ahead. For others, they have a facility, but it’s within close quarters to walls or pillars that make full-speed-contact pileups look similar to boarding in hockey. 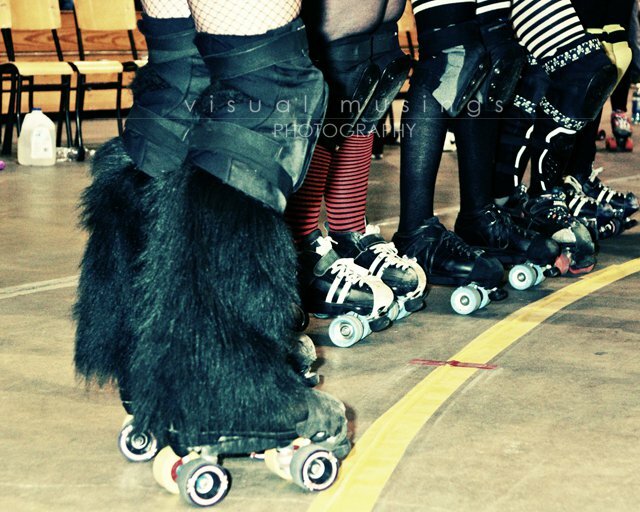 For more, the facility of choice has floors that are so rough that wheels wear down quickly and you don’t dare skate bare-legged or wear your favorite tights. Or they are so smooth, injuries happen due to sliding out and careening off the track. Even with established leagues, it’s a struggle. Leagues with multiple teams in large centres, compete with all other sports organizations for time. There simply aren’t enough indoor facilities as it is for hockey, soccer, basketball, ringette, etc. 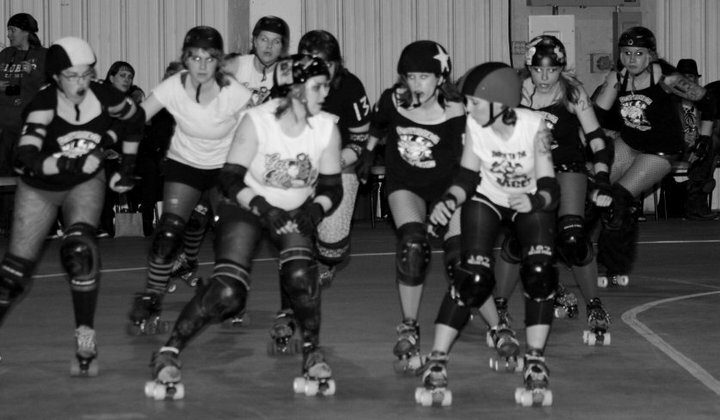 Most recently, the Gas City Rollers in Medicine Hat lost their practice facility due to the roof collapsing. So if you’re a league searching for space, what can you do? Here’s some things we’ve done to try and secure venues. Some worked, some didn’t, but if it helps you find a space permanently… Fantastic!!! Churches, halls, community centres, rodeo grounds, schools, surrounding communities… Any space that looks big enough to fit a track, call them. Inquire that you’re interested in viewing the space to rent for your group. Our experience has shown if you identify what you’ll be using the space for right off the start, it’s tough to get past that initial phone call. But if they ask, don’t lie. However stating that you’re a ‘women’s sport group’ isn’t lying either. 😉 The key here is to get in the front door and woo the keyholders of the building with your charm. If you’re lucky enough to find the perfect space with perfect floors and get a meeting to view the space, do some research on the group who owns the building beforehand. Are they non-profit? What other events are held there? Think of ways ahead of time to sweeten the deal for them if they are hesitant about renting to your group. Perhaps they are always in need of volunteers for their own events and your league could offer time in exchange for reduced rent. If the building is older, perhaps you could create a work-bee committee to contribute time to maintaining and improving the building monthly (painting trim, minor repairs, etc) Or create a sponsorship agreement where their name will be tied to every public event you hold. The possibilities are endless if you’re willing to do some negotiation. If you have a league member who works in the non-profit, public relations or media industry, grab them now and harness their writing skills or find a member who just loves to write! Coming to a meeting with a written proposal in-hand that talks about who you are, your goals and objectives and your reach (eg appearances, what charitable organizations you support, media attention) show that you are a serious league. Also include an outline of what you can offer in return as extras (from previous point) and don’t forget to state what you will do, as a league, if damage to the facility were to happen. Research leagues in similar-sized cities and make sure to share in your proposal what kind of spaces they have and who’s providing them. This will show roller derby is all around and to hopefully create a desire for the keyholder to ‘keep up’ with the other communities. Most importantly, put a face to your league. Include photos with your proposal. Show derby moms skating with their kids, show how you participated in the local parade or rally, show photos of other leagues in their pretty spaces (get permission!). 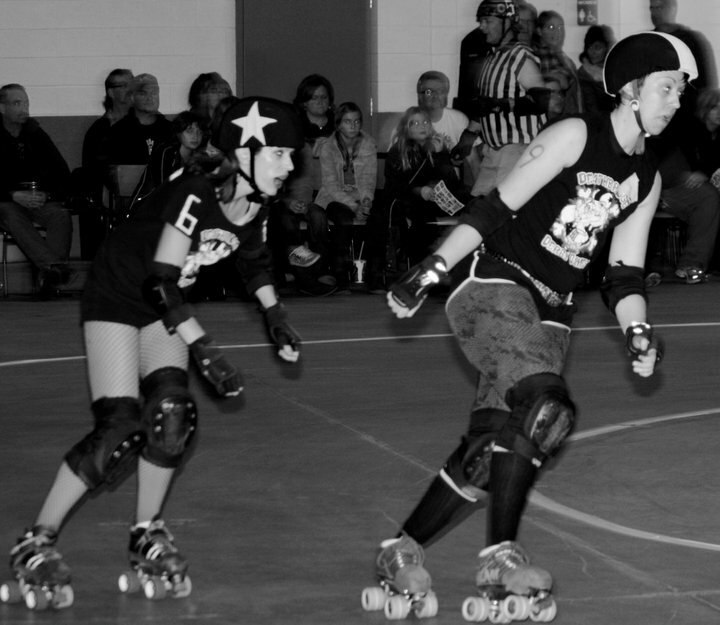 Let’s be honest, there is a conception of what derby girls are within the establishment. Show that your on-track personas don’t reflect negative behaviours when you are here to train. Writing a good proposal will take time. Do it right and you will only have to do minor updates for each venue. Bonus marks if you can get reference letters from former space providers stating you paid rent on time and were good renters. This is an obvious one, of course. But some keyholders may give you space on a trial basis and will be watching carefully for any excuse to take it away from you. Don’t let them. Go above and beyond. Work as a team to make sure garbage and gear is cleared out before vacating. Same goes for the parking lot. Pay the rent on time and report damage immediately. Always watch what your gear is doing to the floors and make adjustments as necessary. Also make a point of asking the keyholders to notify you immediately if there are any problems so you can rectify the situation quickly. Follow up on any special sponsorship or partnership agreements. If you fail on that, you risk negative feedback within the community. Not only will the attention to detail save you from eviction, but will continue to show your league as one to be taken seriously. I know…. BLAH. But your city/town council are the ones who decide the use of current and future community centres. I’m not saying attend every council meeting, but be aware of the meetings, when they take place and what’s going to be discussed. Meeting agendas can be found on municipal websites and from there you can decide if you need to attend. Look for terms like capital improvement, recreation & culture, parks. Watch/read the news and see if the city is set to expand any of their recreational buildings and are looking for public input. That’s when you need to jump in and get involved. Find someone on council who favours youth activities, sports or non-profits and ask to sit with them to discuss your concerns about lack of space for your league. While individually they may not be able to do much for you, they now know your challenges and will hopefully keep you informed of any leads that may come up. Partnering with other groups looking for a similar space is also a great way to get more to notice your cause… Your local skateboard association, wheelchair basketball, ball hockey, lacrosse groups all have the same challenges. Approach council as a unified group and they will notice you more. So those are just some ideas we’ve tried. It’s a tough road seeking out the perfect space, but once you find it, it will be soooooo worth it. To the Gas City crew, best of luck to you in finding a replacement for your lost space. To other leagues who have found a permanent home, I’d love to hear your success story!!!! As for the ‘perfect storm’ venue we have in front of us, it would be fantastic if they welcomed us back to put on an event-on-wheels; or even just to practice since we are homeless from our current space until February. Guess I should get on tweaking that proposal! Game plus’s… I came away uninjured, even after a highlight-reel worthy crash into the crowd. Game minus’s… I still need to work on being more aggressive. And we lost. We love our fresh meat fans! 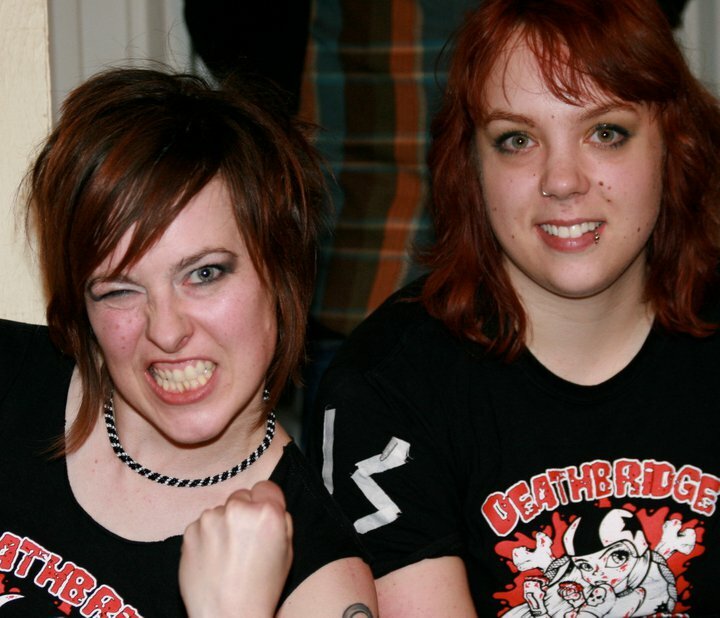 We love our fresh meat merch girls!!! The amazing Nixxi Knox and her fuzzy boots! Riff Raff checking her gear while the rest of the team watches the jam. I think this may have been the first jam of the night! The lovely Dreamy (Dream Whip) setting up to help me through the pack! Hooten Annie and Domino Brasco about to make some Cherri jam! Viv the Shiv giving me the LEAD JAM signal. 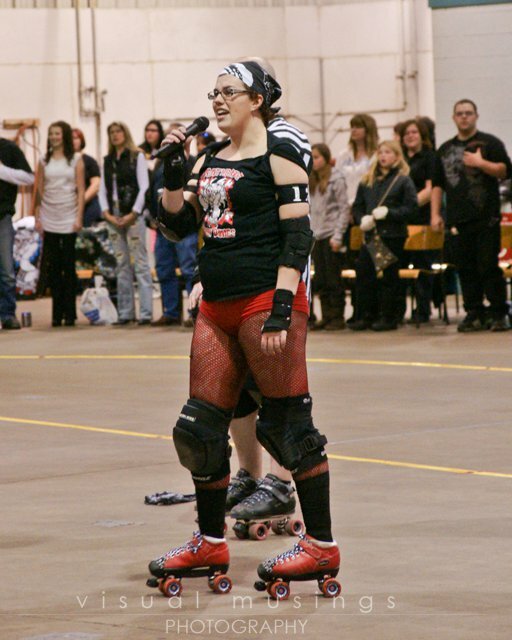 The amazing BF Bam Bam, who was our bench coach at our first home game! So fun to play against! Trying to squeeze through. Pretty sure I got taken out on this one. Skunky and Rebbles, post game! My favourite photo of the night. Group hug after the game!